Monk’s chanting is not very interesting to the young people. But at the same time the young monks are very active and they want to do something. So I think linking these dynamic monks with young people is important so that the young people can learn about cultural and spiritual aspects though actually doing the work. Sombath Somphone, Towards Global Transformation: Making Change Happen, at the 3rd International Conference on Gross National Happiness, November 2007, Chulalongkorn University, Bangkok, Thailand. The Agro-Ecology Learning Alliance in Southeast Asia is calling for submissions to its Youth and Agro-Ecology Short Film Competition. Please see below or click here for more information. Hopefully, applicants from Laos will consider including material on Sombath Somphone’s pioneering work with youth, education, agriculture and the environment. The honorable Chief Justice Hilario Davide, trustees of the Ramon Magsaysay Award Foundation, distinguished guests, fellow awardees, ladies and gentlemen, good evening. It is a great honor for me today to be here receiving the 2005 Ramon Magsaysay Award for Community Leadership, and I would like to sincerely thank the Ramon Magsaysay Award Foundation and its board of judges for conferring on me this important award. This award is not just for me or for my staff in PADETC. This award is also for our young Lao volunteers and youth leaders, who have demonstrated to us, the adults, that they have the capacity, and indeed the right, to claim the space to determine their own and their community’s development pathway. I believe that it is their passion and their hopes and dreams for a better future which are recognized and celebrated through this prestigious award today. 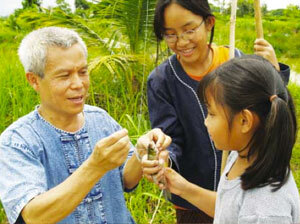 Sombath’s vision for sustainable development aims to foster respects for nature and humanity. He advocates for mindful education and inclusive development highlighting ordinary people, especially young people who are the potential of change. I have not written to you in a long time, since you disappeared. That hit me inside, in my heart. It made me wonder what I should do about my work, because you were always my role model, ever since I was a PADETC volunteer while in secondary school. I hope you are well. Five years ago, I asked you for advice about a new job. You never refused to help. Even if you had a lot of work, you would always find time for me. The only exception was that it could not conflict with the time you played ping pong. I smile whenever I think about that. Even when I was not asking about work directly, you gave guidance and encouragement when I needed it. It has been three years that I don’t know where you are, but I still remember what you told me the first time I met you: “Be a half-full, or nearly full glass, but never a full glass. To never be full leaves room for new lessons, it leaves us open to learn what is right, to absorb new thoughts, to move us forward and give us encouragement. For that which is not appropriate, pour it out so you won’t get misled, so you can move in a better direction.” I can remember your words well, and recall them often, especially when I encounter a problem. It has been three years, and I am not the only one who remembers what you taught. I have met many others who have grown with the thoughts you shared. They remember your words as well. The passing time has not erased what you built. Your work has been taken up by a new generation strengthened through your efforts. 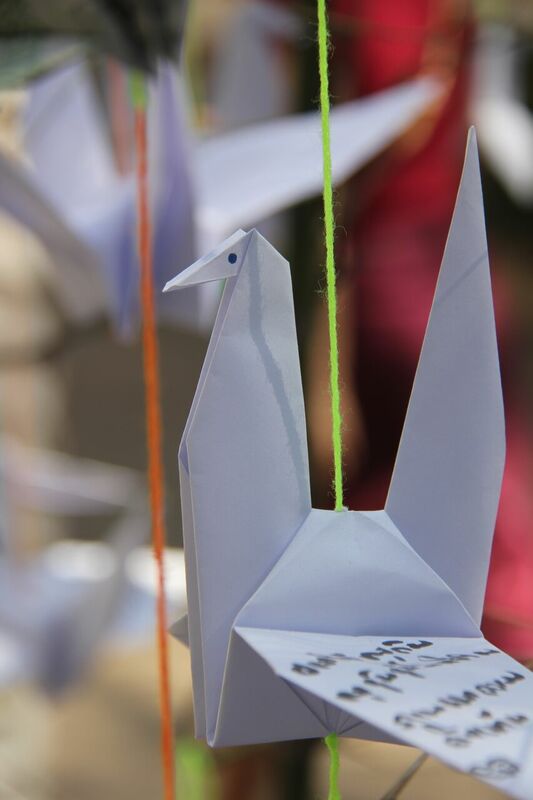 You opened opportunities for us to develop ourselves, and we can move forward on our own. With this letter, I want to thank you again for your valuable guidance. Thank you for your impressive achievements which benefit society. We have learned and adapt them for our use. Thank you for giving us youth a chance to grow, and thank you for the opportunity to know you. Finally, I hope that what you have built will continue to spread and foster the development of society and the next generation. This presentation was part of the Sombath Symposium on “Humanity and Nature: Traditional, Cultural and Alternative Perspectives”, the objective of which was to present and discuss knowledge and practice drawn from different cultures and traditions that can serve as an alternative foundation to the predominant growth-driven development model. 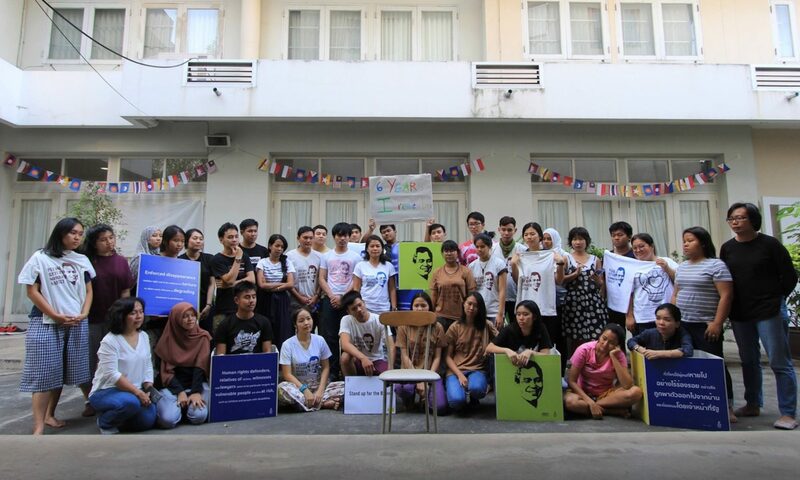 We, the youths of Mekong, has come together for Sombath Somphone and Beyond Project since 2013 after the tragedy that occurred to our uncle Sombath Somphone on the fifteenth of December 2013 in Vientiane, Laos. From what we have heard, seen, and witnessed, we come to realize that the lifetime commitment and dedication either in the fields of education or development uncle Sombath has been doing is for nothing but peace in this region. 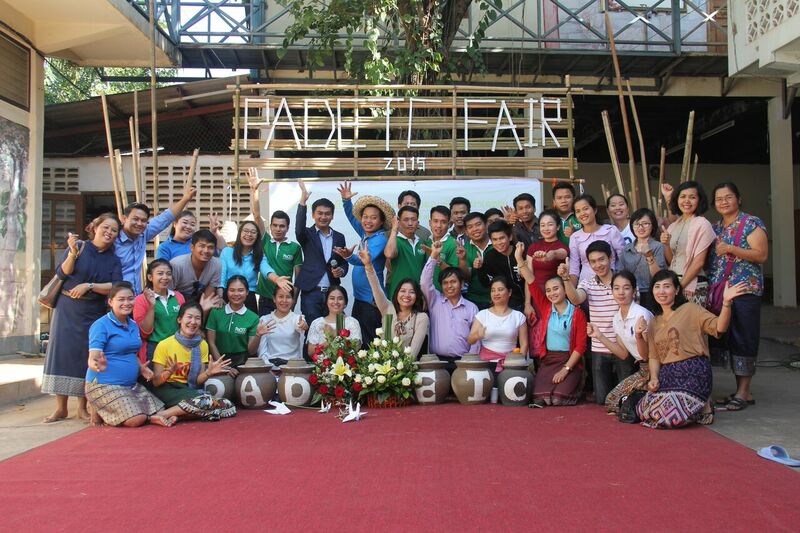 The Participatory Development and Training Center (PADETC), founded by Sombath, held its 2015 fair under the banner of “The Man, HIs Work, and His Dream for Laos,” on Friday, December 11th. Approximatley one hundred friends, colleagues, CSO staff and diplomats attended the event, which included Buddhist prayers for Sombath, and comments from his spouse and colleagues. Some likened Sombath to a farmer nurturing a fruit tree. But rather than keeping the fruit for himself, he would spread it around so more trees would grow, and produce more fruit. May the fruits of his vision continue to grow. A Thai PBS report on the event.